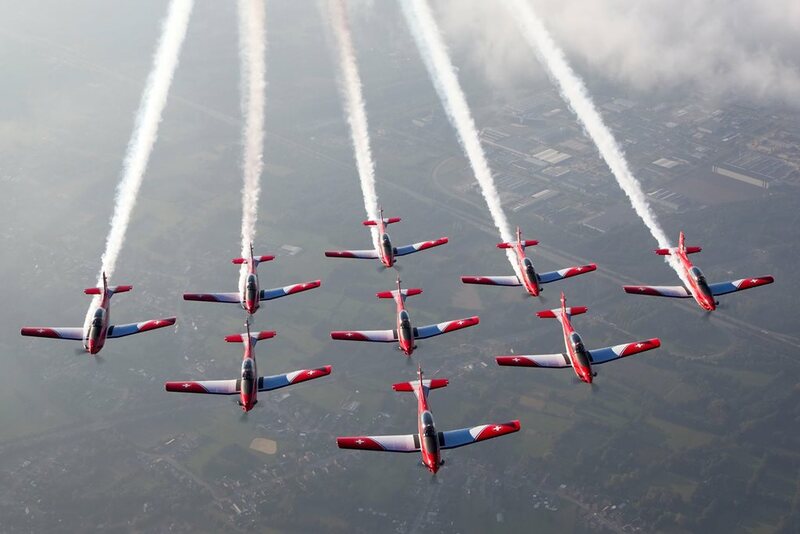 Thirteen performances are included in the 2018 agenda of the PC-7 Team. 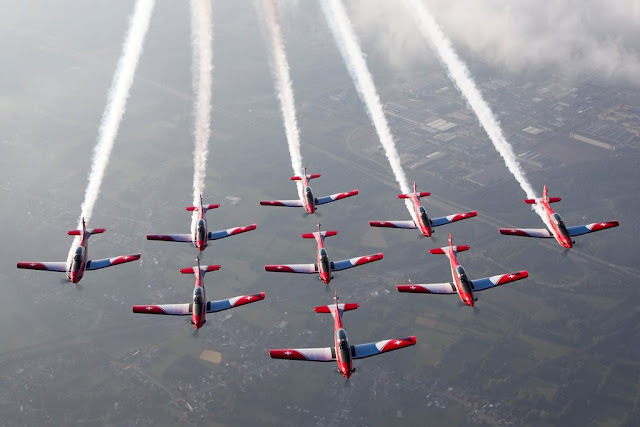 The PC-7 Team, together with Patrouille Suisse, has the task of representing the skills of Swiss Air Force personnel during the national and international air show. The main role of the PC-7 Team pilots is not to perform air demonstrations, but to protect the Swiss airspace 24 hours a day, 365 days a year. They mainly fly the F/A-18 Hornet in the Swiss Air Force and are assigned in one of the three fighter squadrons based at Payerne or Meiringen. Each pilot reach about 110 flight hours per year in the Hornet. The work done with the PC-7 Team is an additional task, this underlines the high performance and capability of the Swiss Air Force.